Gilmanton Iron Works- Olive B. Tibbetts 88, went home to be with the Lord and her husband Bob on April 14, 2018 at the Concord Hospital with several Family members at her side. Olive was born March 22, 1930 in Gilmanton Iron Works and lived in Gilmanton her entire life. She was the daughter of the late Horace Partridge and Florence (Palmer) Partridge. Olive attended the Gilmanton Iron Works Grammar School and High School in Alton and Pittsfield. She started to work at a very young age at the Pine’s Hotel on Crystal Lake. She also worked at shoe shops in Pittsfield and Farmington and at the State School in Laconia. She started her Home Care and Group Home business in the early 1960’s which she ran until the mid-1990’s. She and Bob also owned and operated the Country Grainery for 20 years. Olive’s favorite pastime was reading the Bible, singing hymns with friends, working in her garden and having coffee with many Family members and friends. 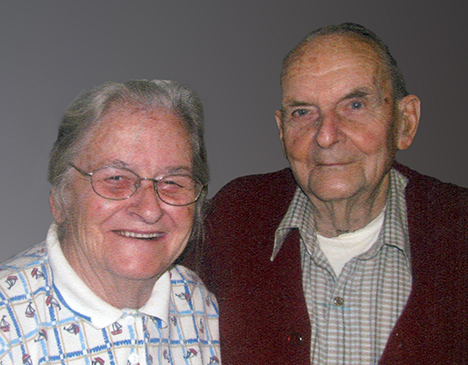 Olive and Bob were married for over 71 years. Their home was always open to everyone. The warmth of the kitchen wood cooking stove will always be remembered by all. She is survived by a son Robert “Bob” Tibbetts and his wife Judi of Alton; a daughter Melody A. Tibbetts and partner Scott Roy of Moria, NY; three grandchildren, Tracey Tibbetts, Heidi Beaudoin and her husband James, all of Alton, Sarah Smith of Laconia; five great-grandchildren, BJ Morse, Isaac Morse, Gavin, Jacob and Jackson; She is also survived by siblings, Louis Hillsgrove (Fred), Patricia Sweeney, Kenneth Partridge, Flossie Leblanc (Roland), Fredrick Partridge ( Joyce), and Robert Partridge (Jennie). Her sisters-in-law Ginny Partridge and Sheila Partridge, special family members Debbie Coleman, Wendell Beck (who spent nearly every evening with Bob & Olive over the past 20-25 years, as they would always have coffee and dessert and talk about politics and the good old times in Gilmanton), Bert Morse, Stanley and Barbara Moulton and the Thompson Girls. Other very special friends were Belle Rollins of Barnstead, a friend for over 80 years and Harriet Coupal a friend and neighbor for over 50 years. Besides her parents Horace and Florence Partridge, Olive was predeceased by her husband Bob on Dec. 30, 2017, her brother and sisters Horace Partridge Jr, Shirley Dawson, Daisy Partridge, George Partridge, Leon Partridge, Mae Worcester, Muriella Rohach, Ernest Partridge, Edwin Partridge. A Committal Service with Military Honors will be held on Saturday, May 19, 2018 at 10:00am in Pine Grove Cemetery, Gilmanton Iron Works, Gilmanton NH. , followed by a Memorial Funeral Service at the Living Word AOG Church on Stage Road in Gilmanton Iron Works, Gilmanton NH at 11:00am for both Bob and Olive. For those who wish, the family suggests memorial contributions may be made to the Gilmanton Fire & Rescue, 1807 NH-140, Gilmanton Iron Works, NH 03837, or to a charity of one’s choice.